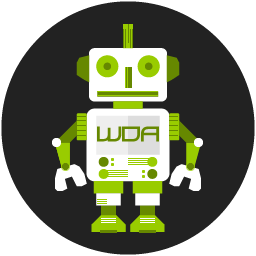 At Web Design Academy we offer a whole range of subjects to cover all aspects of Digital/Online Design, Development and Marketing. All these subjects might seem confusing at first so we laid it out for you explaining each subject, technology and tools that we use in our courses. Please let us know if you need any more information about any of our course subjects. You can also download course information and applications by following the links at the bottom of the page. HyperText Markup Language (HTML) is the predominant markup language for web pages. HTML elements are the basic building-blocks of webpages. HTML is written in the form of HTML elements consisting of tags, enclosed in angle brackets ie: <html/>, within the web page content. HTML tags most commonly come in pairs, although some tags, known as self closing elements, are unpaired. The first tag in a pair is the start tag, the second tag is the end tag (they are also called opening tags and closing tags). In between these tags web designers can add text, tags, comments, and other types of text-based content. HTML is the structure of your web page. The latest version of HTML is 5. CSS is an Abbreviation. It stands for Cascading Style Sheet. Style sheet refers to the document itself. Style sheets have been used for document design for years. They are the technical specifications for a layout, whether print or online. A style sheet for a Web page serves the purpose of telling the viewing engine (the Web browser) how to render the document being viewed. Cascade is the special part. More on that in the HTML and CSS course. We use CSS to style our text, layouts, backgrounds etc. CSS is the style of your web page and the latest version is 3. 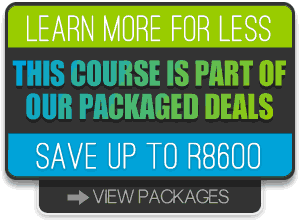 We have an Introduction to CSS course in Gauteng and KZN. This course is part of the HTML course above. We also have a CSS3 course which is part of the HTML5 course. WordPress is by far the best Content Management System available online at the moment. At the time of writing this, WordPress actually powers 24% of all websites on the internet. That in it’s own should tell you that learning WordPress is an absolute must if you into Web Design and Development. You can develop anything you can think of with WordPress and do so quite easily. It’s free, working with WordPress will cost you nothing. This brings several advantages, including WordPress being actively developed by its community as well as the core WordPress team. It’s known for its incredibly simple 5-Minute Install. There is an enormous number of WordPress resources available on the Web. WordPress Plugins extends the capability and there are hundreds of thousand available doing pretty much anything you can imagine – and again, it is all free. No wonder most Web Design Agencies are using WordPress to Develop websites. The learning curve of WordPress is very straight forward and easy to grasp. Especially the way we teach it. Our WordPress course in Gauteng and our WordPress Course in Durban will teach you everything you need to know on how to install and customise it. We also look at more advanced development features. PHP implements the object-oriented paradigms of class, object, method, inheritance, and much more. MySQL Databases are central to many web applications. A database can hold almost any collection of information you may want to search and update, such as a user list, a product catalog, or recent headlines. One reason why PHP is such a great web programming language is its extensive database support. PHP can interact with (at last count) 17 different databases, some relational and some not. We will cover MySQL databases in our PHP and MySQL Course in both Gauteng and KZN. Designing websites for all devices is a must have for any web designer. Users are browsing the internet on all types and size devices. Responsive web design allows you to design one website for all devices. Your design responds to the device width and change the layout accordingly. Our responsive Web Design course teaches you all the theory behind designing for all devices before you actually design a complete responsive website. There is quite a lot that goes into these designs, although it is quite easy to understand. This is a great course for anyone wanting to learn how to design for all devices and a must have skill for any Web Designer. ActionScript is the scripting language Flash uses to control its movies and the objects within those movies. If you want to do anything interactive in Flash, you’ll need to use ActionScript. It allows you to execute different actions in a movie depending on what a user does or on what frame of the movie is being played. Flash is also the best tool available for creating awesome web animations. Although there are a lot of articles saying Flash is Dead it will still be many years before it actually dies out. Flash can also be used for desktop applications and Presentations. Knowing flash can be a huge advantage as it has a very niche market. Our Flash Animation and ActionScript Course in Gauteng and KZN Flash Course will teach you everything you need to know to design, animate and control flash movies. Social media is a new way to use the web. It’s a trendy term to describe a new kind of mass media. It involves both listening, and talking. It’s about being there for friends as well as engaging strangers. It’s all done on a daily basis by thousands of people in your town. Be under no illusion, it’s where the people are. And it’s definitely NOT just for kids. Our Social Media Course will teach you how to market your business on all the important Social Media Networks and how to customise these channels to suit your business needs. Social Media also improve your website Search Engine Optimisation, so we also consider this a very important subject. Our Social Media Marketing Course in Gauteng or Social Media Marketing Course Durban will teach you all the important aspects of Social Media Marketing as a Web Designer. Optimizing a web site for search engines can require looking at so many unique elements that many practitioners of SEO consider themselves to be in the broad field of website optimization (since so many of those elements intertwine). As with all our courses the SEO course is also practical and easy to understand with great examples.If you follow all the optimising techniques we teach in our course your website will surely rank well in search results. We consider SEO to be the most important aspect of a website. After all, there is no point in having a website if you cannot be found in search results. Otherwise it’s called a business card website. We use quite a few different tools in our courses and suggest a free tool for every single aspect of each course. These tools are split into different categories and the smaller tools will be supplied with each of our courses. We also supply you with free alternatives to the paid tools we use in our courses. For Designing and Developing we mostly use the Adobe Creative Suite. Adobe Fireworks is great for website graphics as well as general graphic design requirements. We prefer Fireworks well over Photoshop, especially designing graphics for websites. We also use this in our Graphic Design for Web course to teach you how to design web layouts, banners, animations and much much more. Adobe Illustrator is all about vector graphics. We use this in our Graphic Design for Print course. It is a great application that you can use to design letterheads, business cards and general business stationery as well as large format printing like signage. In general it is a great vector design application. As mentioned we use quite a lot of different tools for editing bulk images, video conversion, audio editing, font designs, website user interface elements etc. All these tools will be supplied with your course materials free of charge. We also supply you with a complete design and development tool arsenal so that you can do anything and everything you learned in class at home or at your office. You can view our downloads section to find links to downloading all these applications and more.